If you board horses that belong to other owners, and you charge a fee or accept payment in the form of work or other kinds of compensation, you have a commercial horse venture that requires special insurance to be covered properly for liability. A Homeowners Policy insures only personal (non-commercial) activities, so commercial activities are not insured under this policy. A Farmowner’s Policy is like a homeowners policy with the addition of commercial coverage for raising, keeping and sales of livestock, grains, crops, and ag products. Therefore such a policy will also not insure against liability for horse boarding unless the Insurer specifically agrees to do so by endorsement. One of the main liability concerns is the potential for a horse owner, their family members, and guests to sustain a bodily injury while on or near the property. As a stable owner, you should insist that the horse owners provide proof that their horses are insured for liability, but the horse owner’s policy will not extend to the stable owner’s liabilities. When boarding horses on your property, you should have the proper equine liability insurance for your business. How Risky is Horse Boarding? Moderately High. Other liability concerns that affect boarding stables are a loss, illness, or injury that may happen to a boarded horse while in your care. 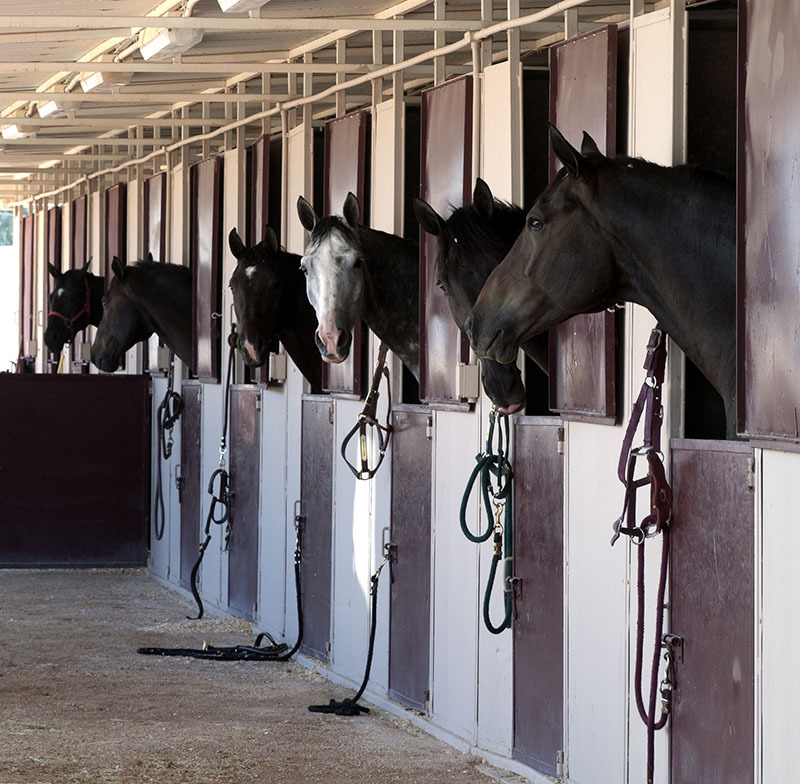 By having the right horse insurance policy, you can protect your horse boarding business. This exposure is commonly known as Care, Custody & Control Liability (or Animal Bailee Liability). Horses can escape their enclosures, they can become injured on a fence, in a pasture, in their stalls, or while being ridden on trails, and in rings and arenas which you are responsible for maintaining. You may not haul horses commercially, but if you haul horses for other people on occasion to the vet, for training, or to events, you also have this exposure. The horse owner should be encouraged to carry a limited or full mortality policy on their horses, which may include surgical and major medical insurance. While this will help, again, it is for the benefit of the horse owner and will not cover liability claims made against the boarding stable owner. Liability claims involving loss, injury or damage to a boarded horse should be insured under a policy or endorsement called Care, Custody & Control Liability Insurance. This type of coverage insures you against financial loss if a non-owned horse in your care becomes sick, injured or dies and the owner attempts to hold you responsible for the loss because of your negligence. This type of insurance is not included in your General Liability Policy unless requested by you and added by endorsement, or provided as a separate policy. If you board, handle, or care for horses owned by others, be sure to ask for this additional coverage by completing that part of the application and choosing the limits that are right for you. Our underwriters will then quote it and you will have a chance to decline or accept this valuable insurance protection. As a stable property renter, you may not have access to property insurance for tack, equipment, and machinery you use in your business. Ark Agency can insure these items by adding a Property Coverage Endorsement to the General Liability Policy. Additional premium is charged for this endorsement, and the items and values must be declared in the application process. Medical Expense: Pays for a claimant’s low-cost medical expense with few questions asked about your liability, responsibility or connection in the matter. 1. A boarder is injured in your arena, in the stable area, or on your trails when their horse spooks or acts up due to a hazard you were responsible for containing, controlling, or marking. 2. A visitor comes to your property with a boarded horse owner and is injured while petting horses, watching the rider, or when he or she rides the boarded horse. 3. A fence is damaged or barrier gates are left open and a boarded horse gets loose and runs into the road. A car accidentally collides with the horse. The incident results in bodily injury claims on the driver and passengers, property damage to the vehicle and contents, and a care, custody & control claim for loss of the horse. 4. A boarded horse not owned by you gets injured or dies while in your care or on your property because of something you did not do to keep the horse safe, sound, and healthy. Reach out to an Ark Agency representative by calling 1-800-328-8894 and request a horse insurance quote right now. We look forward to working with you and determining your individual needs for your horse boarding business.